"An open source development tool primarily to create graphic adventure games." Created by British programmer Chris Jones and originally released in 1997 as an MS-DOS program, Adventure Game Studio is a development tool that is mostly used to create graphic adventure video games for Windows, OSX, and Unix operating systems. The software is directed toward intermediate skilled game designers, and it combines an Integrated Development Environment (IDE) for setting up most of the things that are required to make the game with a language based on the C programming language. It was once only able to be used for small tests and demo games and the user base was quite small, however after some time developers started requesting more features to be added to the application. After quite some time and a lot of development, the software is now what we know as Adventure Game Studio. 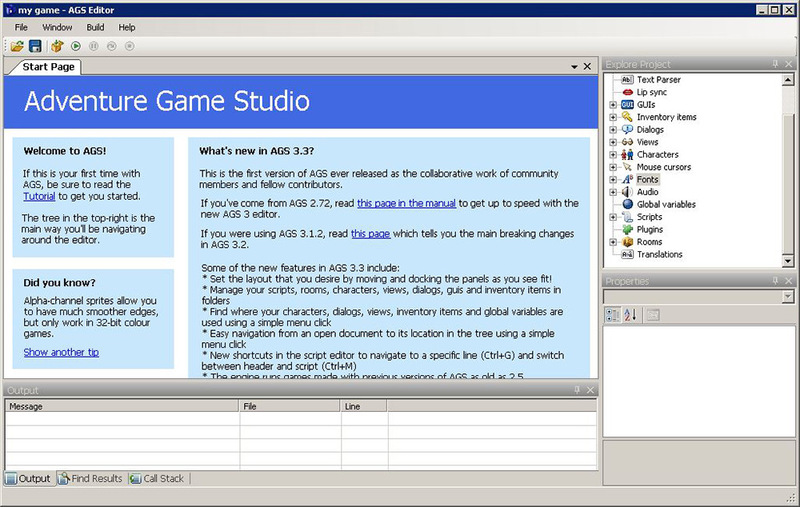 It is now a pretty large toolkit that can be used to make high quality games. 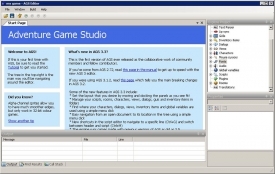 The application was originally designed for Windows, however the runtime engine used to power the software has now made the application available for other platforms. The old DOS engine, which is how the application started in it's originally development, is no longer available as of version 2.7. When it comes to the development, Adventure Game Studio can create games with a graphical range from 256 colors and a resolution of 320x200 to truecolor games with a resolution up to 1024x768. The higher the range of colors and the higher the resolution, the more demanding the game is on your computer resources. This means you might need a faster computer to make these games. Thousands of games have been made using Adventure Game Studio, and you can be one of the developers of these games.